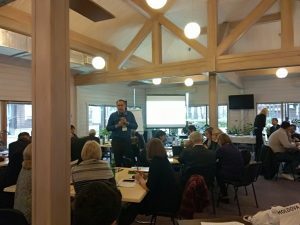 On October 31 – November 2, 2017, a sub-regional training seminar “Exchange of experience on the implementation of strategic environmental assessment (SEA) and environmental impact assessment (EIA) in the selected countries of Eastern Europe, the Caucasus and Central Asia” was held at the Hotel “Glybivka”, Kyiv region. “Organized by the United Nations Economic Commission for Europe (UNECE) in the framework of the European Union-funded EaP Green program” Ecologization of the economy in the countries of the Eastern Partnership “. Organizational and technical support was provided by the public organization “Institute of Law-making and Information Technologies” (Ukraine). 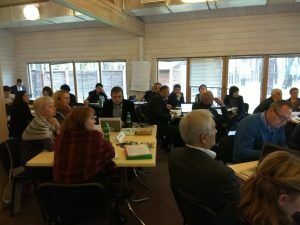 In the three-day seminar, 30 environmental specialists from Azerbaijan, Armenia, Belarus, Georgia, Kazakhstan, Moldova and Ukraine participated in the training on the implementation and use of the SEA tool. Vyacheslav Potapenko, Director of the Institute of Green Economy, presented a seminar on the results of the Strategic Environmental Assessment of the Energy Strategy of Ukraine until 2030.